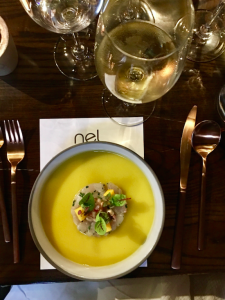 On Tuesday night I attended the FODMAP friendly dinner at Nel Restaurant in Sydney, hosted by dietitian Chloe McLeod. 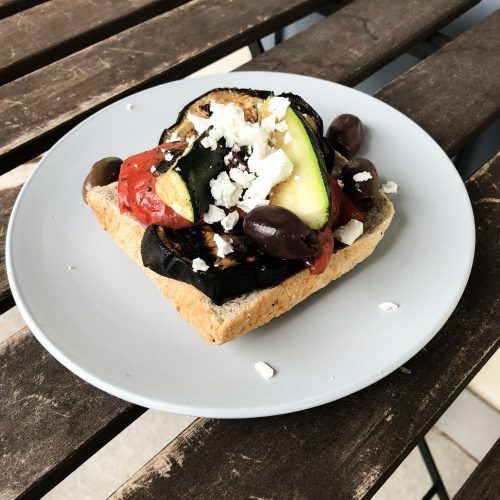 I found out about this dinner through my current involvement in The FODMAP Challenge, a 12 week course by Chloe that helps you sort out which foods are triggering your irritable bowel syndrome symptoms. As the name suggests, this course is based around the low FODMAP diet as developed by Monash University. 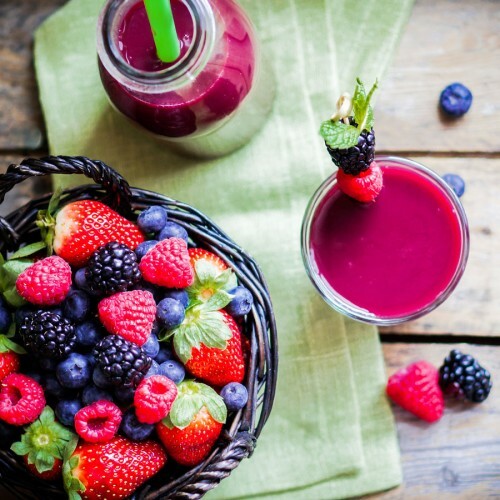 I had taken the challenge to determine what was causing my IBS symptoms – I had been having the worst wind, pain and bloating. Just look at the difference in my stomach between morning and night! 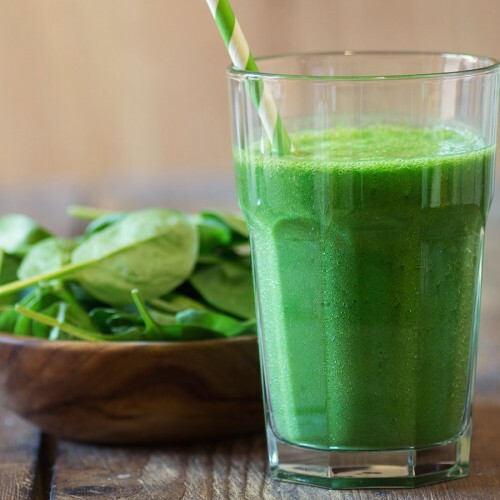 The FODMAP challenge starts with a 4 week elimination phase removing all high FODMAP foods. If you don’t know what these are see here. Whilst I have found with some practice it is easy to eat FODMAP at home, it is very difficult to find any FODMAP friendly meals at cafes and restaurants (except if you live in Melbourne, you lucky ducks have Foddies!). Thankfully the FODMAP diet still allows coffee and lactose free milk so that has been what I’ve been ordering when out and I’ll take my own snacks. Needless to say though, this does get both tiring and frustrating so I was REALLY looking forward to enjoying restaurant food again! 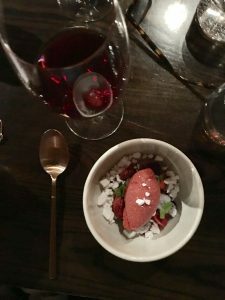 I had travelled up from Canberra for the dinner and whilst I was looking forward to it, I really had no idea just HOW GOOD it was going to be! 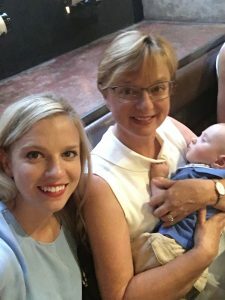 I took my Mum along to help me with my 7 month old son and we had the best night. We were both blown away at Chloe’s event organising skills, the lovely people on our table and the quality of the food at Nel Restaurant. Chloe gave an excellent talk about why she had put on this meal and the gap that she saw in the market for people who had to remain on a low FODMAP diet. Chloe mentioned how she has sometimes found it difficult herself, whilst also seeing client after client who avoids these types of meals and restaurants, because they’re afraid of missing out, or causing a fuss. Kate Bennett (another dietitian and exercise physiologist), was also invited to speak and she spoke about recent research and what it’s saying about the connection between IBS and stress and the impact exercise can have on improving IBS. Chloe had also organised lucky door prizes! Mum came home with two weeks of pilates and I came home with some beautiful body scrub. It’s so wonderful to see these brands really supporting Chloe and her team in their efforts to bring a nice night out for those who suffer with IBS. 2015 Year Wines Grenache, McLaren Vale, SA. Chloe said most wines are fine on the low FODMAP diet as long as they aren’t really sweet wines. It is also important to not over do it, as alcohol does irritate some people’s IBS. A welcome drink of sparkling water with ginger and mint was also provided. My heart felt full after meeting so many people who struggle with the same things, although their symptoms or triggers might vary it was nice to hear their journeys and be able to relate or share experiences. In saying that, the conversation was all about our bowel issues (which is good considering we were eating). We got to know all about each others lives and it was very interesting. Overall, I left the event feeling so cared for that someone had provided such a beautiful meal for me, with all my difficult dietary requirements. 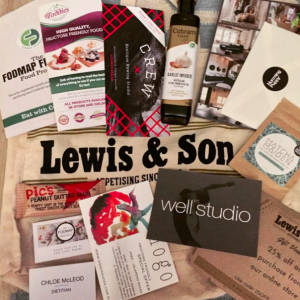 I loved getting home and going through my goodie bag, getting to know the brands who supplied goods that FODMAP friendly. Thank you Chloe for putting on such a brilliant night. 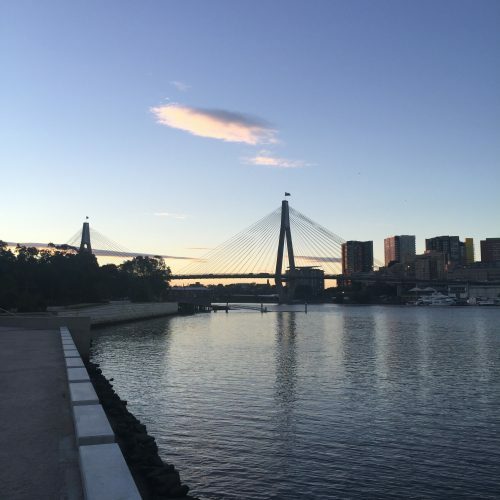 I hope that many other restaurants will come on board and support your efforts to provide this beautiful evening for other IBS sufferers in other cities around Australia. 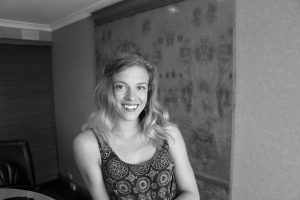 Note from Chloe: Huge thanks to Amy for taking the time to write this lovely write up! 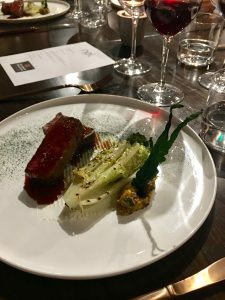 To read more about FODMAPs and eating out on a low FODMAP diet, head here, and to read more about the dinner, check out this article. 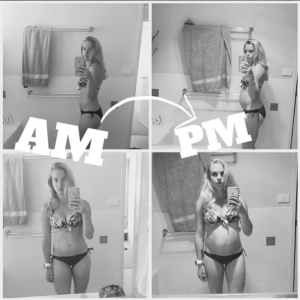 Amy Darcy is a Mum, lawyer and the editor of Eat Pray Workout, an Australian based online hub for women who want to be the healthiest, happiest version of themselves. 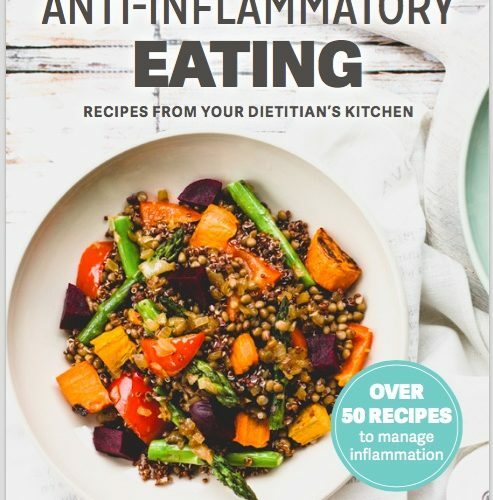 You’ll find healthy recipes; articles on wellbeing; fitness and travel – all aimed at helping women gain a generally healthy, happy and balanced lifestyle. Subscribe here for weekly inspiring emails and to receive all of Amy’s workout printables for FREE! You can also connect with Amy on instagram or Facebook. Previous Post Eat. Sleep. Train. Repeat.